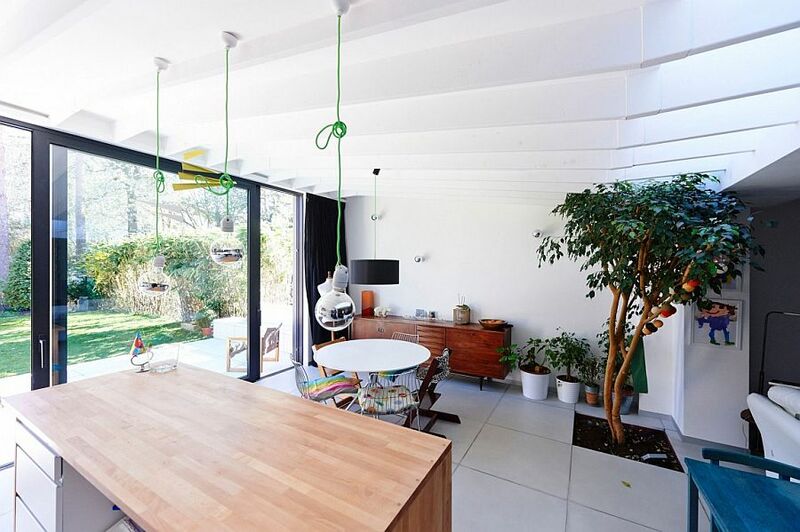 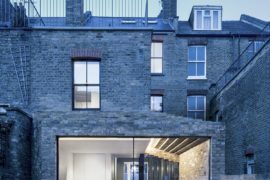 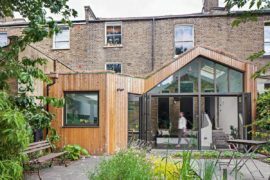 It is not every day that you come across a modern extension that brings along with it a hint of playfulness, visual lightness and a touch of industrial charm, all bundled into one lovely unit. 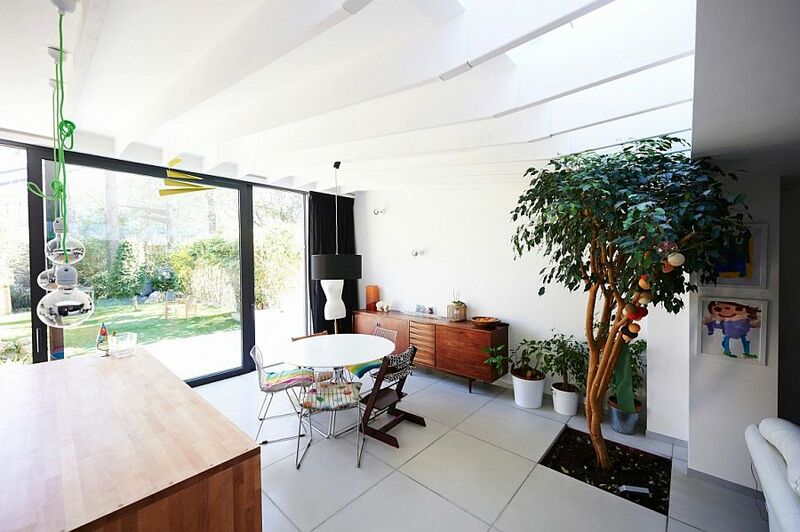 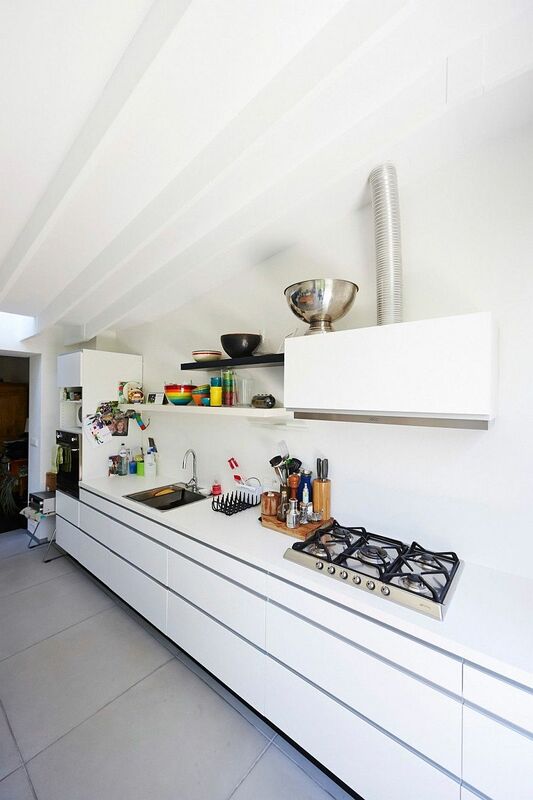 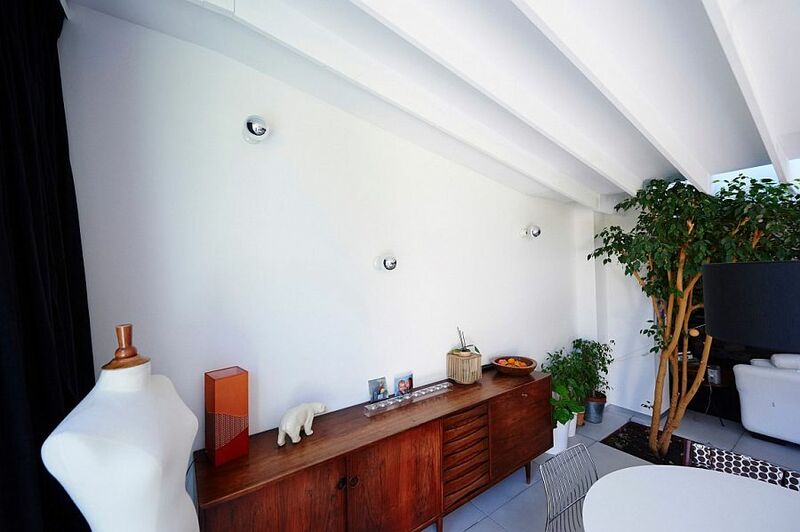 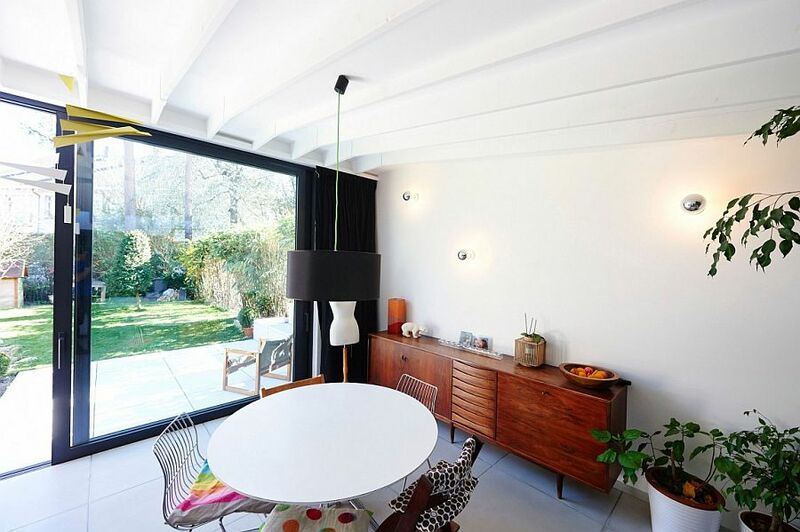 But this smart family home in Brussels, Belgium offers precisely that as it goes both easy on your eyes and on the purse strings of the homeowners! 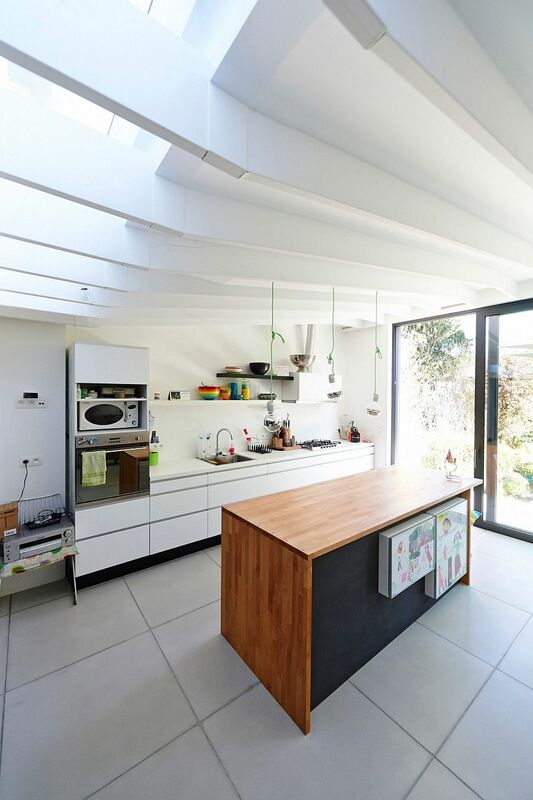 Intentionally designed by Auxau Atelier d’Architecture to keep both initial costs and maintenance to a minimum, the nifty new addition adds a small breakfast zone and a sleek, contemporary kitchen to the existing, traditional home. 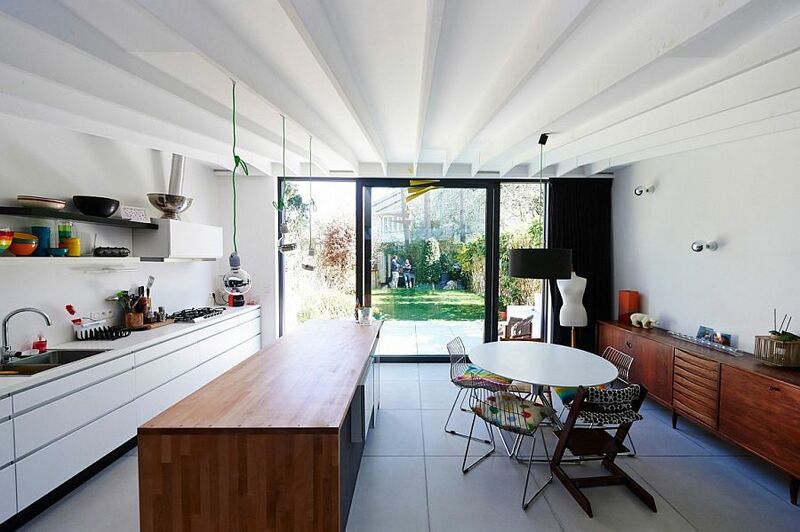 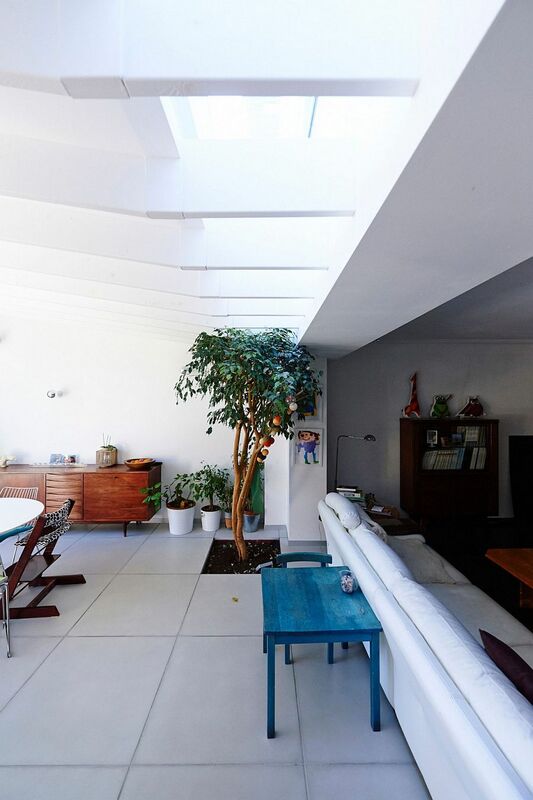 The classy extension for the Sandrine & Laurent private home uses a structure that borrows heavily from industrial elements while wrapping them in a cheerful, trendy cloak. 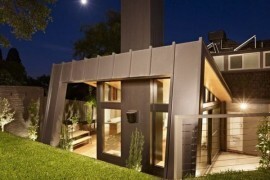 Metal and glass shape the exterior and the roof of the structure, filling the interior with ample natural light. 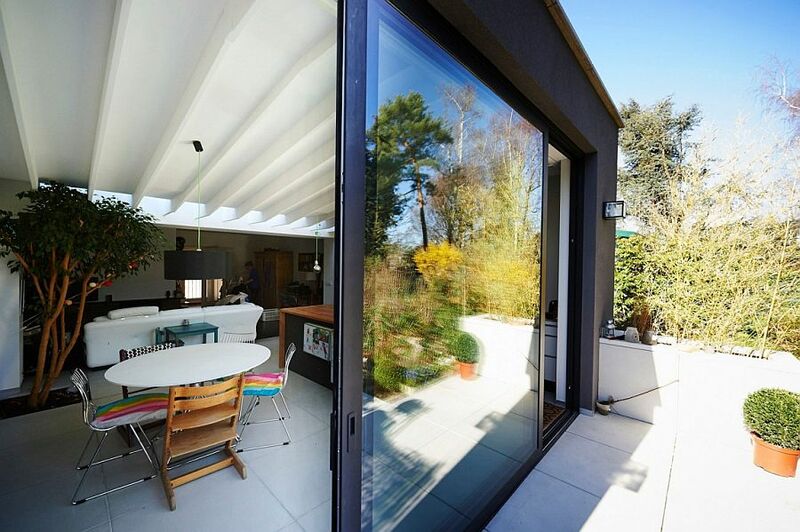 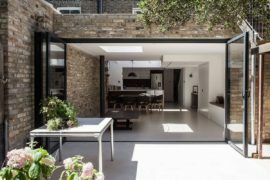 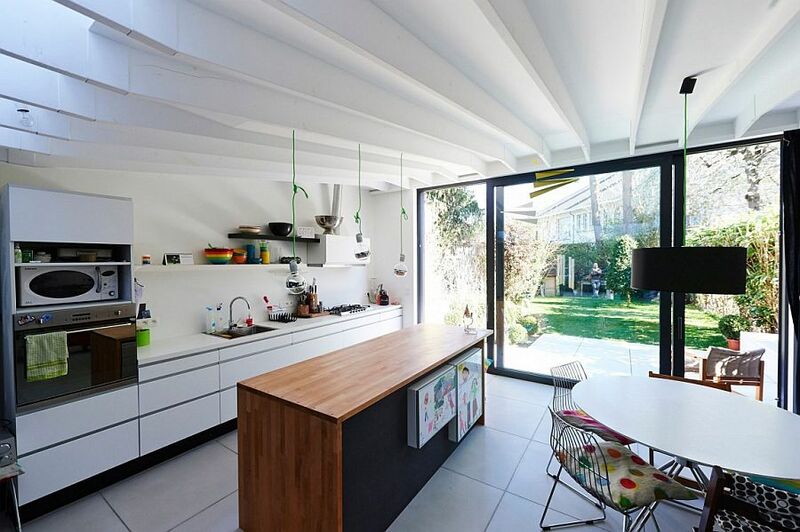 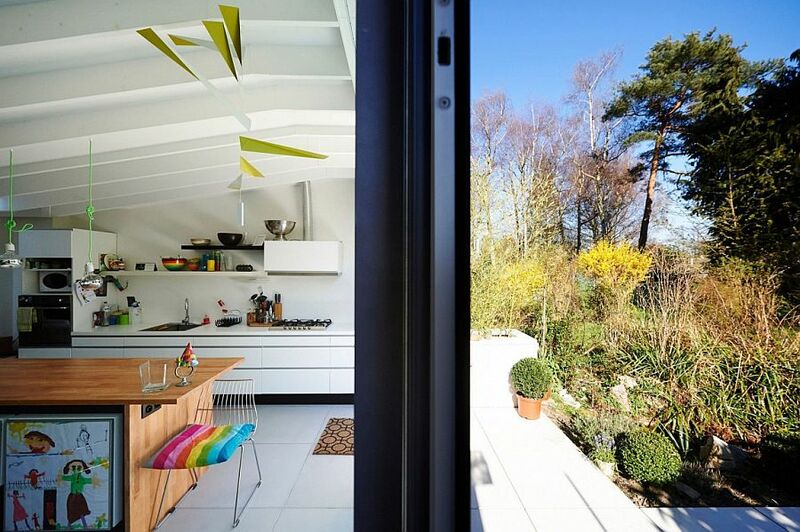 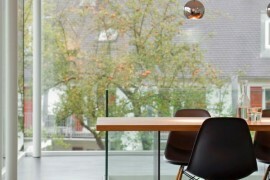 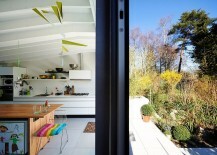 Large, framed glass doors effortlessly connect the new kitchen and social zone with the garden outside. 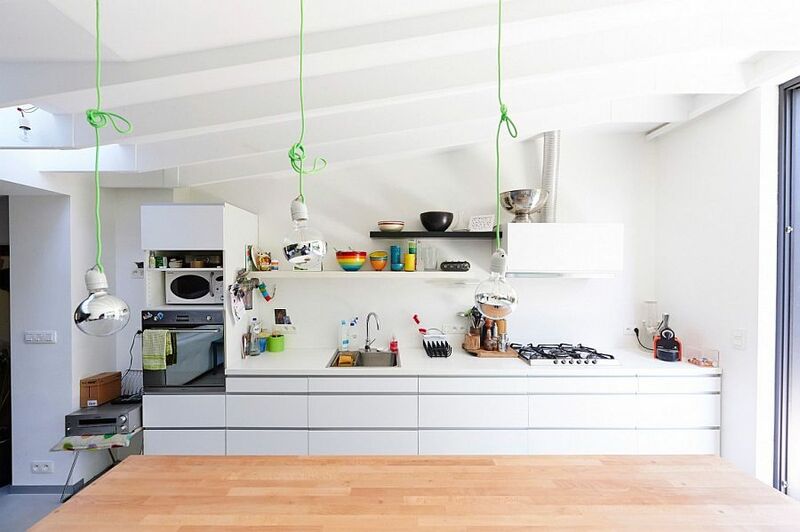 On the inside, a simple color scheme dominated by white is employed, while playful accents and edgy decor add some much needed color. 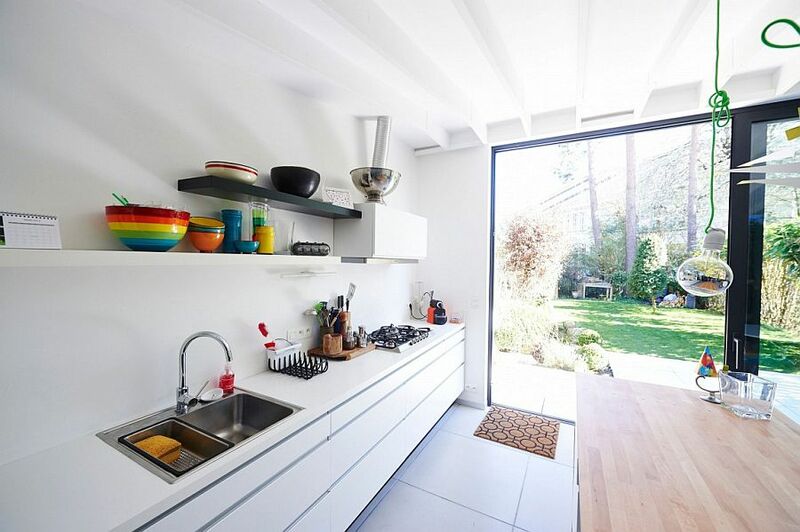 A sleek kitchen workstation in the corner, a central island wrapped in wood and a small breakfast zone fit perfectly into this newly added zone. 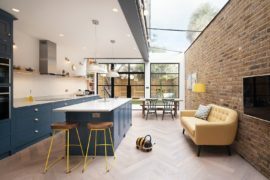 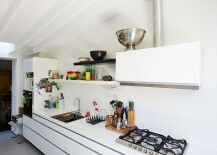 Open floating shelves along with closed cabinets, stripped-down industrial-style lighting and some indoor greenery complete the quirky, ingenious setting with plenty of personality. 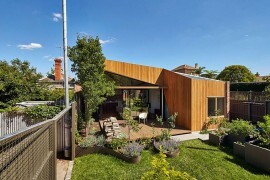 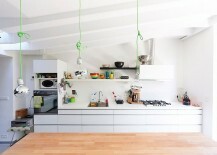 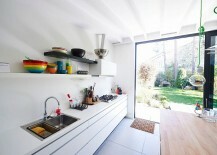 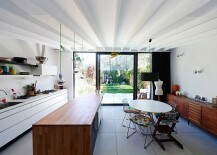 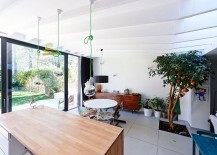 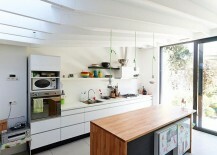 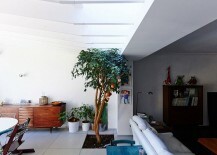 An extension that is both casual and creative to the core!